For the first time, the popular message that continues to inspire tens of thousands of Catholics nationwide is available in print. 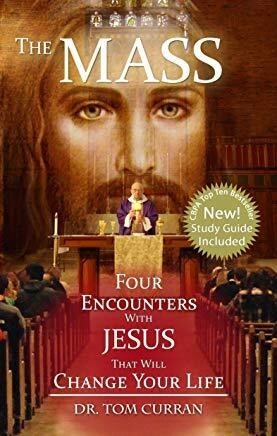 Based upon his most requested CD/DVD series of the same name, Dr. Tom Curran's new book, The Mass: Four Encounters with Jesus that will Change Your Life examines the Mass not merely as a ritual, but as an event, a point of contact where Jesus Christ approaches you to change your life. Do you ever hear, Mass is boring, it s the same old thing week after week , or do you find yourself saying something similar? If so, this book is for you. Chapter by chapter Dr. Curran accompanies you from the time you pull into the parking lot for Mass, until you walk out the doors after the final blessing, using examples and stories from everyday life that will move you deeply and at times make you laugh. By the end you will see with new eyes what is so familiar to you, and hear with new ears what you ve heard over and over at Mass, and your response will never be the same.